Share booth #13817 with others. PharMEDium is the national leader in customized pharmacy sterile compounding for hospital intravenous and epidural therapies. As the national leading provider of compounded sterile preparations, we assume the responsibility for the drug preparation process allowing you to focus on the the patient. 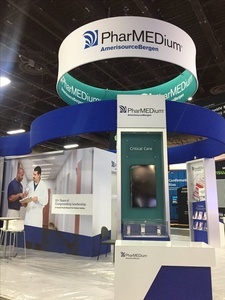 PharMEDium has worked collaboratively to help hospital pharmacists find solutions to today's challenges associated with compounded sterile preparations: budgets, workload, regulations, shortages, technology, treatment advancements, and above all, maintaining quality and efficiency to enhance patient safety. PharMEDium utilizes only FDA-approved, sterile drug components, providing the highest quality preparations. PharMEDium conducts rigorous routine monitoring of its processes, facilities, personnel and admixtures. We are committed to enhancing patient safety through innovation. Our research and development efforts provide customers with tomorrow’s technologically-driven service enhancements. Our strategic partnerships with drug and device manufacturers and clinical thought leaders work synergistically to enhance quality of care. Dedicated 24/7 service and streamlined ordering provides you what you need when you need it. For more than ten years, our clinical and technical experts have dedicated themselves to ensuring you have the tools and information to enhance the best care possible. Our critical back-up support systems and geographically diversified compounding centers can minimize supply disruptions. 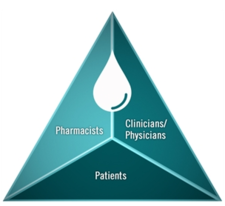 Our mission is to be the preeminent provider of choice for pharmacy outsourced sterile intravenous admixture compounding services, supporting the triad of care that exists between patients, clinicians and pharmacists. Our goal is to provide the highest quality service, facilitating the best clinical care and patient safety. Hospitals considering PharMEDium are invited to visit our centers and learn about the processes that have been instrumental in helping us to attain and maintain our industry leadership position. We are available to discuss how we can help you improve your economic efficiency by reducing waste.